Hiro (Kyoto, Japan) on 10 January 2018 in People & Portrait. The second Monday in January is the Coming-of-Age Day in Japan. Girls at the age often wear Kimono and attend the ceremony. They look on the way back after the ceremony. Superb tradition! Beautiful street shot! Beautiful picture of these ladies in traditional dress. what a beautiful image here !!!!!! A colorful find on such a rainy day!! What a delightful story is captured here. A wonderful cultural documentary image. A colorful tradition for these 20 year olds. A beautiful capture. I like their colourful attire and their umbrellas. I'm sure it will be a day to remember for them! La pluie gâche un peu la fête ! Belle et harmonieuse atmosphère pluvieuse! A lovely street scene. I really like the colors of the clothes and the umbrellas. A wonderful image! 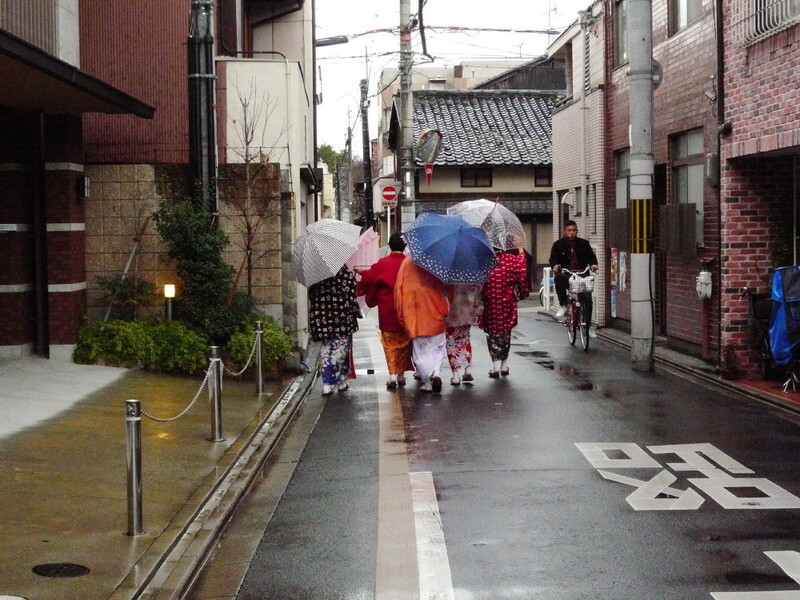 Colourful costumes and umbrellas, fun shot!